Your Ultimate Bridal & Wedding Magazine! Since 1984, Queensland Brides has been trusted by brides all over Australia (and the world!) as the leading source of bridal news, trends and inspiration. Each issue features a wealth of wedding planning ideas, as well as all the latest in bridal fashion, hair and makeup. You can also find everything you need for your dream day, photographers, venues, we’ve got it all covered! 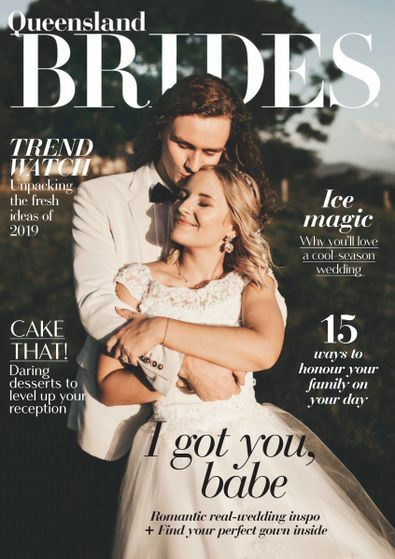 Queensland Brides is essential reading for all brides. Get yours today! Be the first person to tell us what you think about Queensland Brides and you'll save $5 on your next purchase!